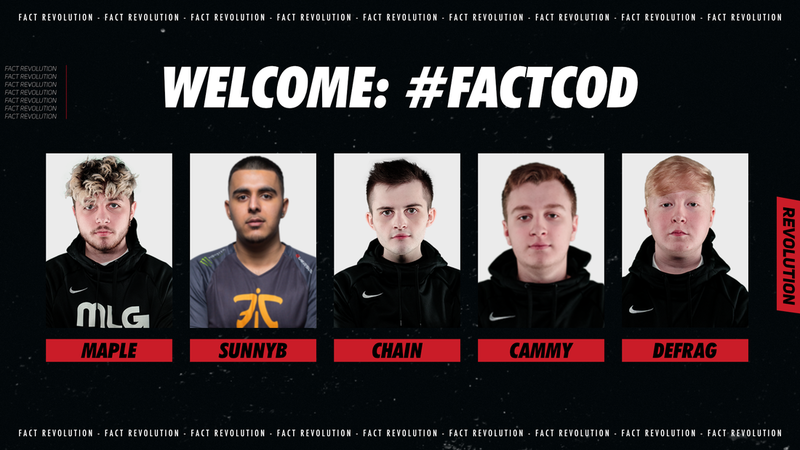 Heading into the Call Of Duty: Black Ops 4 competitive season, we have signed "Team Stanley" that consists of a good mixture of experienced and young talented players from the UK, all of which with previous experience from the CWL Championship and other CWL Major tournaments. The team has already proved themselves to be a top side in Europe after an explosive start to the season placing within the top 4 of the last three MLG 2k series and a third-place finish at the CWL UK National Qualifier. The team will have their first shot at glory under the Fact banner in Las Vegas for the $250,000 CWL tournament, CWL Vegas, on 7th - 9th December. "There's no doubt that this roster is a solid squad. The captain of the team, SunnyB, has been around the professional CoD scene for a few years now. In 2017 he represented the major esports organization, Fnatic, joined by the European veteran Tommey and the twins Wuskinz and Skrapz. With a 5th/6th place at the Call Of Duty Pro League and other incredible results throughout the year, SunnyB has proved himself to be a top player that can compete at the very highest level. Maple started his professional career in 2018 alongside Chain. The European veteran, Tommey, once again formed a new team under Team Vitality, just a few weeks before the qualifiers for the Call Of Duty World League Championship 2018. The team later on qualified for the Call Of Duty World League Championship 2018 and made a remarkable run at the biggest tournament of the year finishing 9th/12th. Chain started his professional career in 2018 alongside Maple under Team Vitality, lead by European veteran, Tommey. After qualifying to the Call of Duty World League Championship, Chain proved that even in his first season of competing he is capable of playing alongside the best in the world after an incredible run ending in a 9th/12th place finish. Defrag started his professional career in Call of Duty: Infinite Warfare for Team Vitality. After a couple of unlucky spells in various teams throughout the year, the young veteran found his footing when he joined Team Infused alongside the veterans MarkyB, Niall, Nolson and Zerg in 2018. 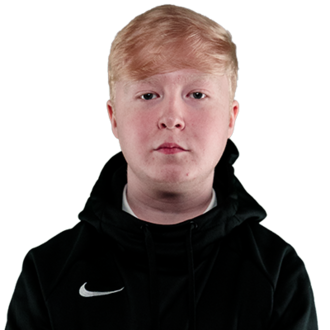 Cammy started his professional career in 2018, placing inside top 32 at every single CWL event he competed at where the season peaked as he qualified for the 2018 Call of Duty World League Championship under ZoneGG alongside Bidz, Defrag and EndurAAA.